The ideal event for commercial, professional and personal users, the show has dedicated days for commercial and professional users and the general public. The Commercial Users Day is held on Friday 28th June and visitors will simply need to register their details in order to attend. The Public Day is on Saturday 29th June and is completely free to all visitors. Uniquely, the event offers a complete show room experience from leading manufacturers and bespoke builders, allowing visitors to both view and test drive a range of vehicles, including the new Mercedes X-Class and Isuzu D-Max. 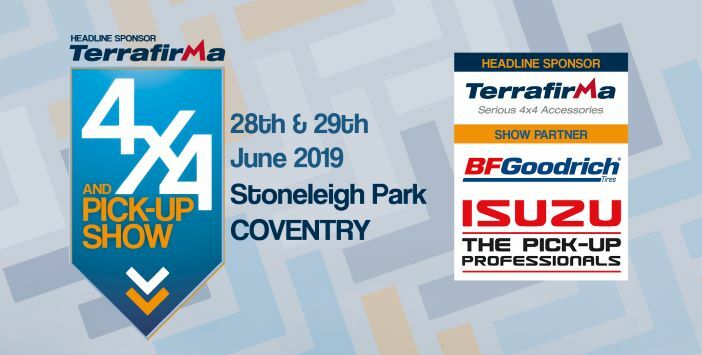 Isuzu are partners of the show for the second year running, demonstrating their commitment and support for this young event. For more information or to register for tickets for either day simply visit www.4x4andpickupshow.co.uk.